Roll-and-Read is a simple and fun game that will have your students reading Chinese characters and words in no time. 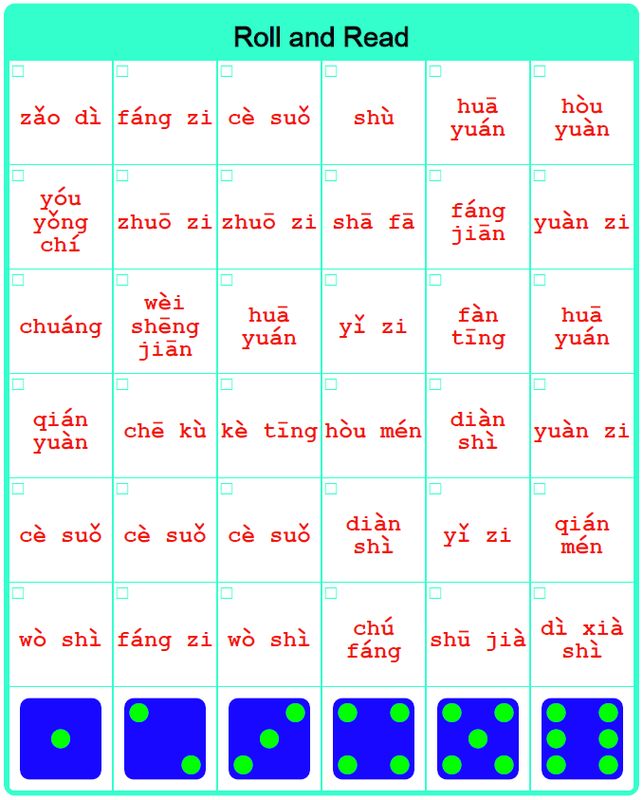 This tool is designed for Chinese teachers to create a custom Roll-and-Read board with a list of Chinese characters or words. You can have your students play the game in pairs. The first player rolls a die. 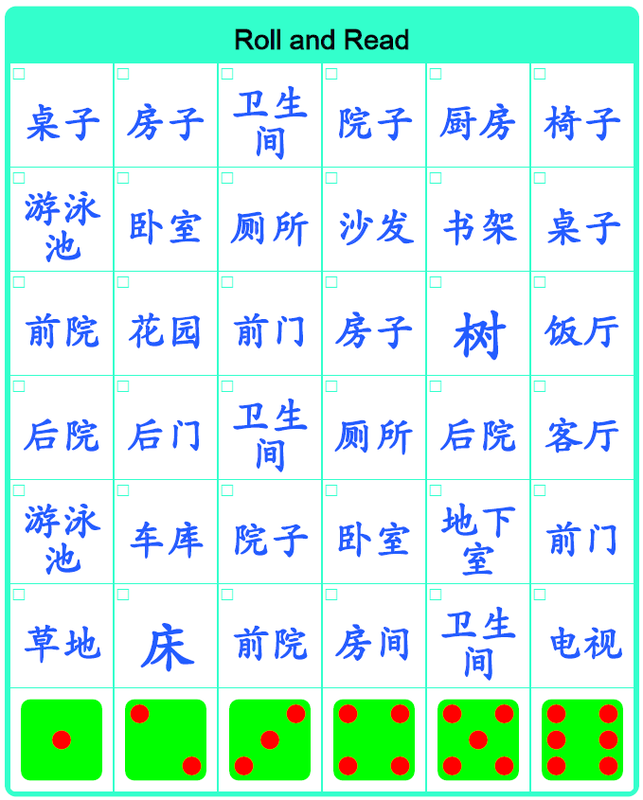 If the player can read, alternatively write, one of the Chinese words in that column, the player can check off (or color) the word. If the word is read or written incorrectly, the player's turn is over. The game continues until one word column is checked off or until the entire board is checked off. The student who reads and checks off the most words is the winner. 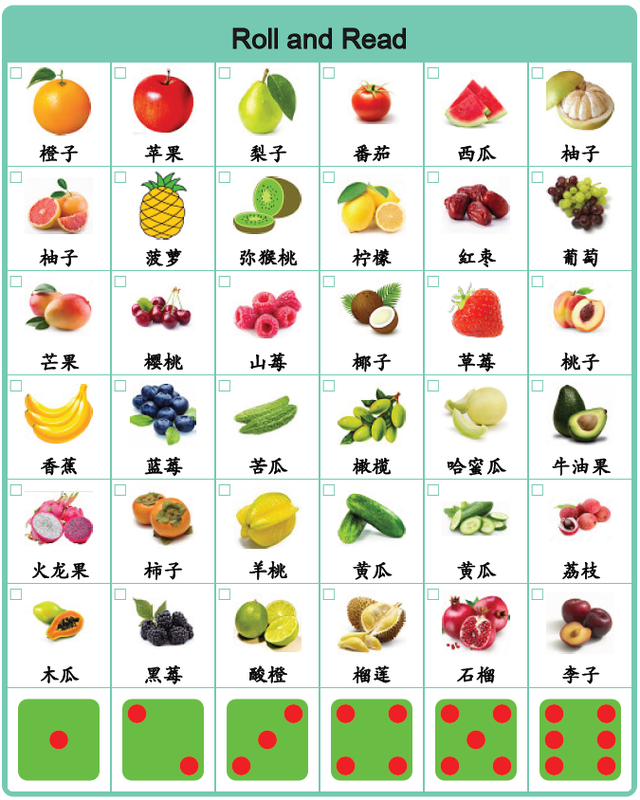 To make the game more challenging and fun, pictures can be used on the board, The player must read and write the Chinese word of the picture to check off the picture. For the Chinese classes that are focusing on reading and writing Pinyin only, the Chinese words on the board can be replaced by Pinyin. The user needs to read the Pinyin to check it off.